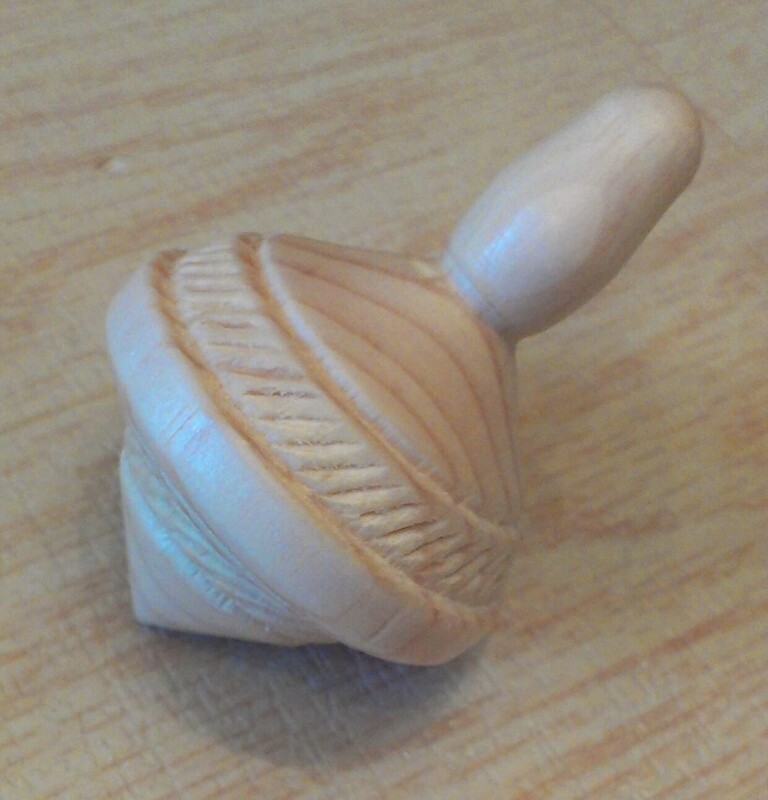 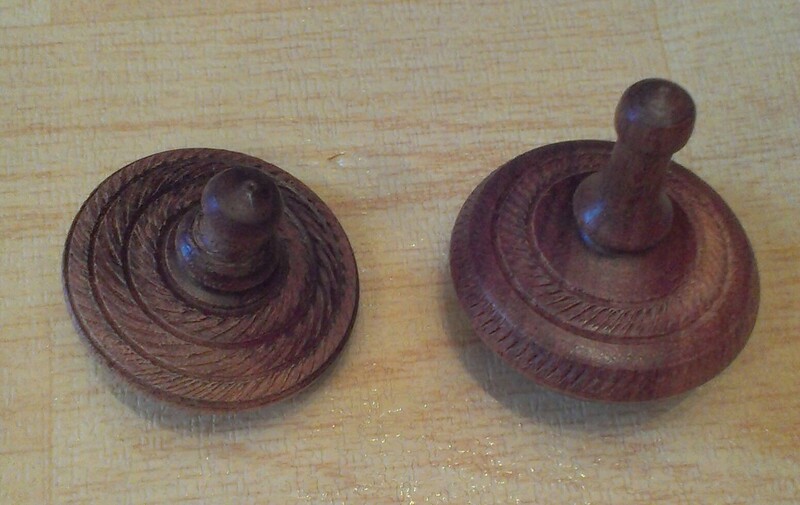 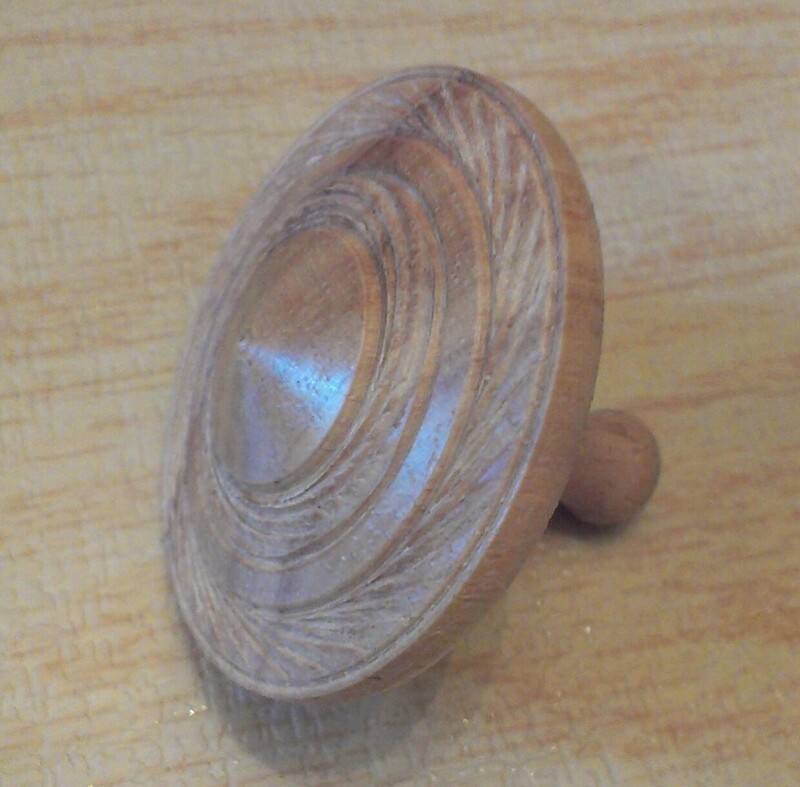 I saw this style of spinner a long time ago and it stuck in the back of my head - so I thought I would have a go at making one. 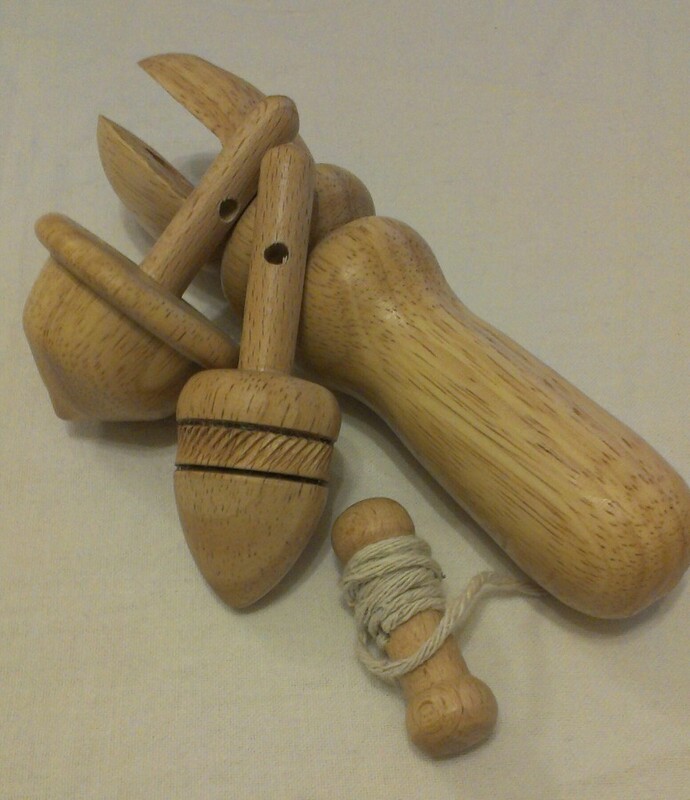 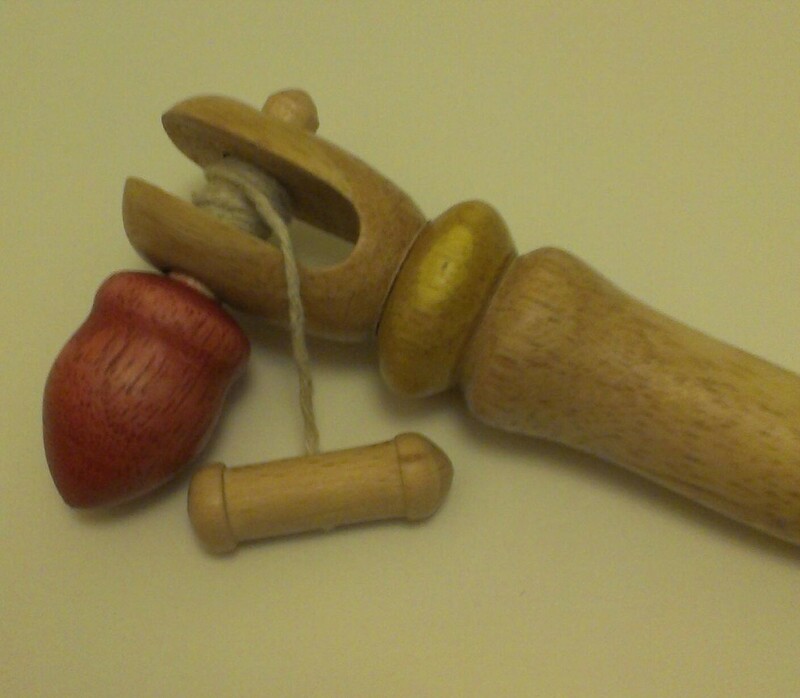 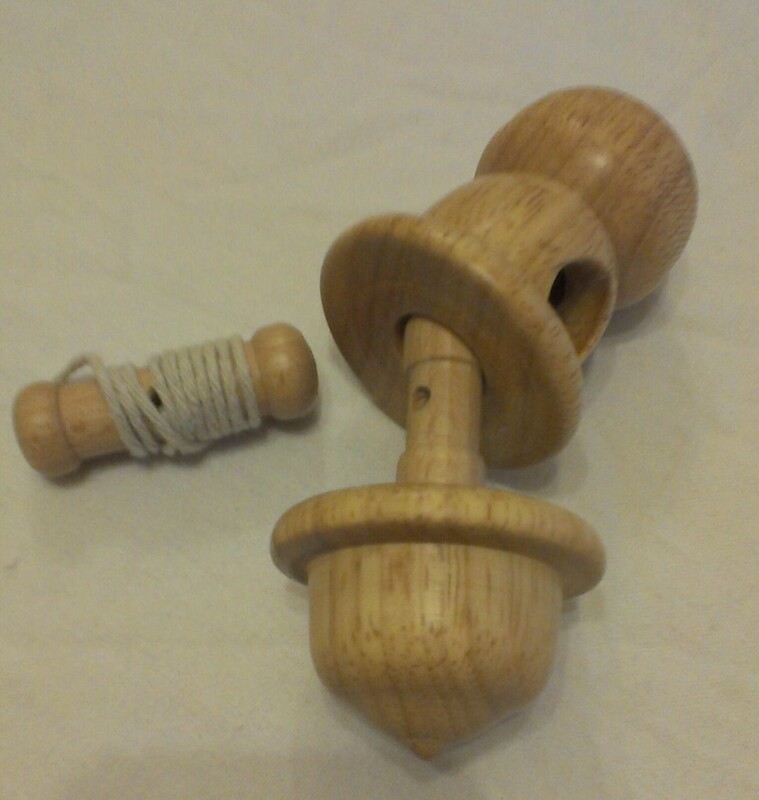 The operation is simple enough - the spinner shaft is held in the handle and the string pull is wrapped around the shaft. 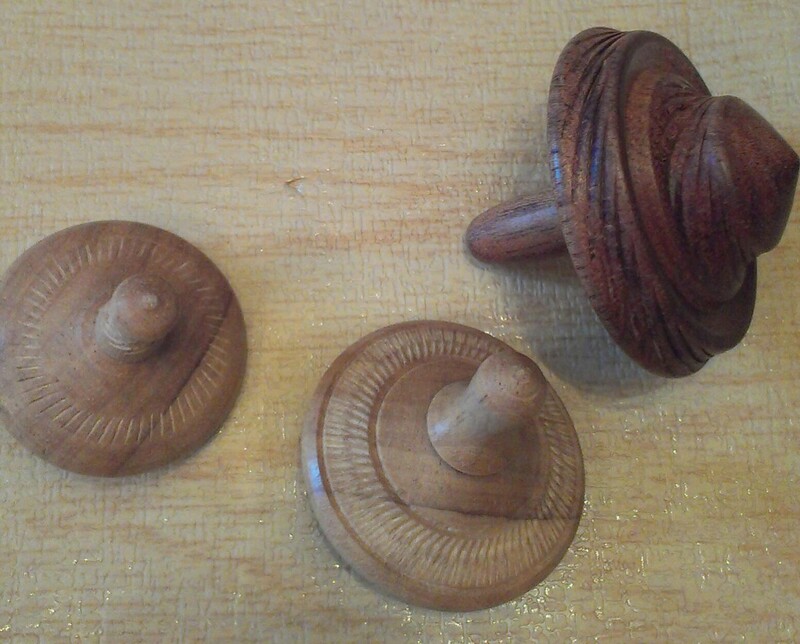 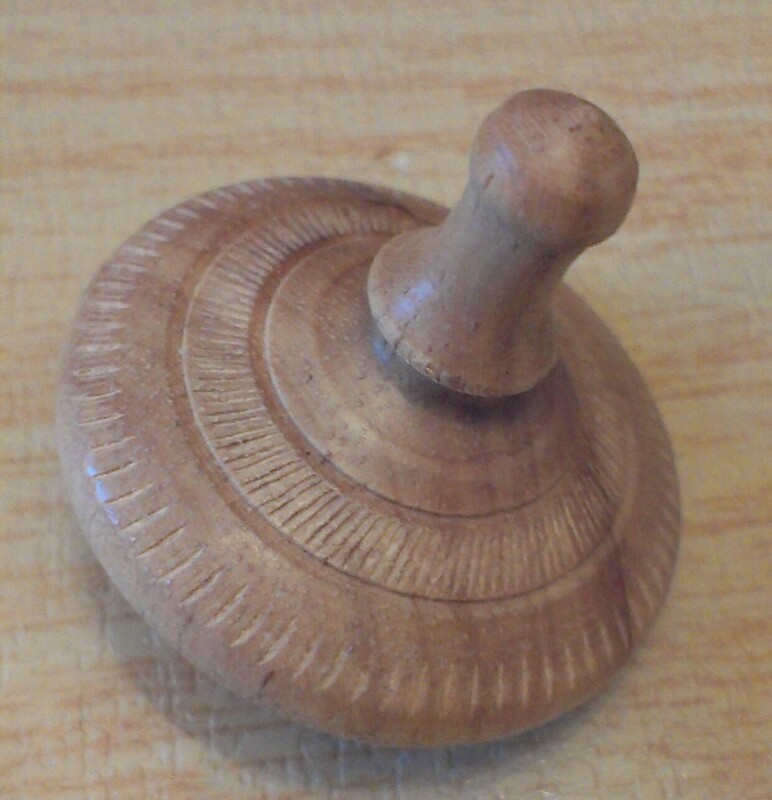 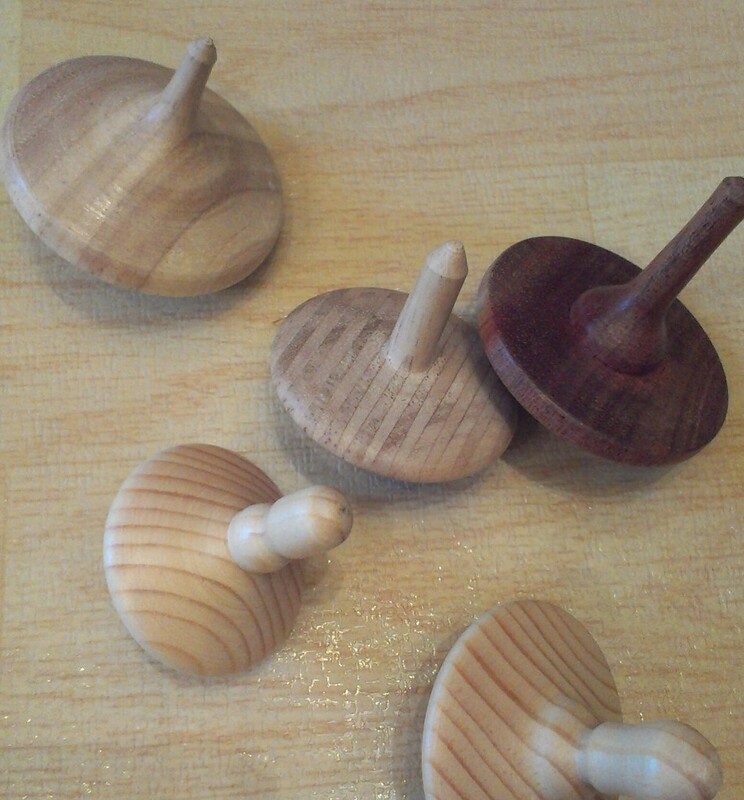 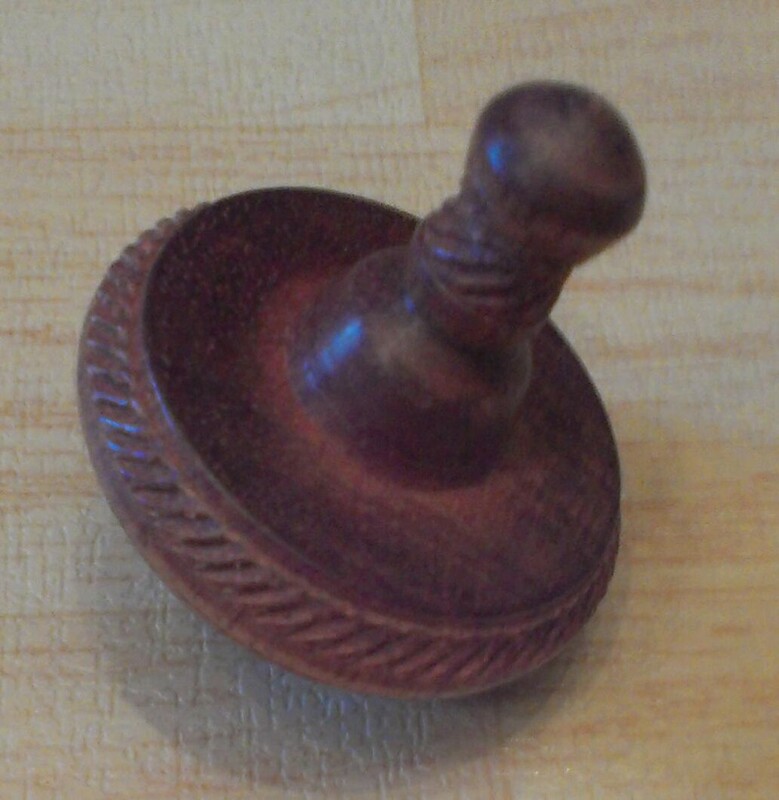 The you pull the string holding the spinner on the surface of the table, floor etc. The first attempt was a little unstable so my next attempt used a larger spinner which kept the weight lower. 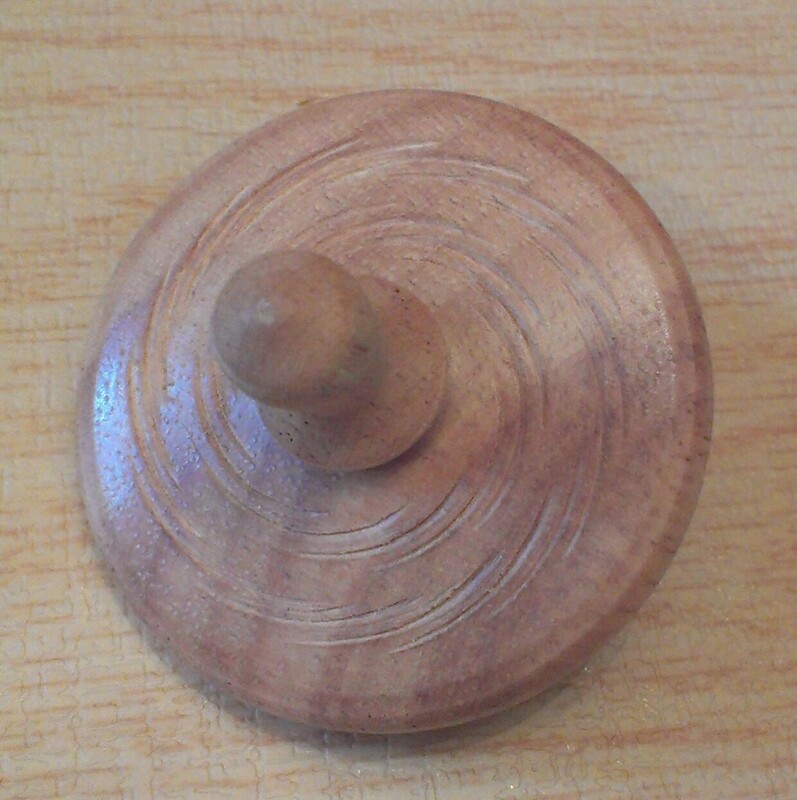 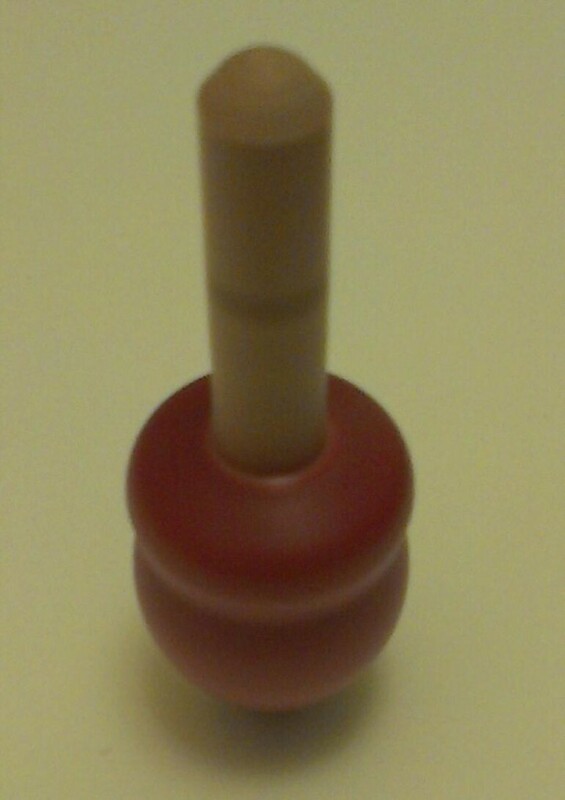 This made it easier to get the top spinning. 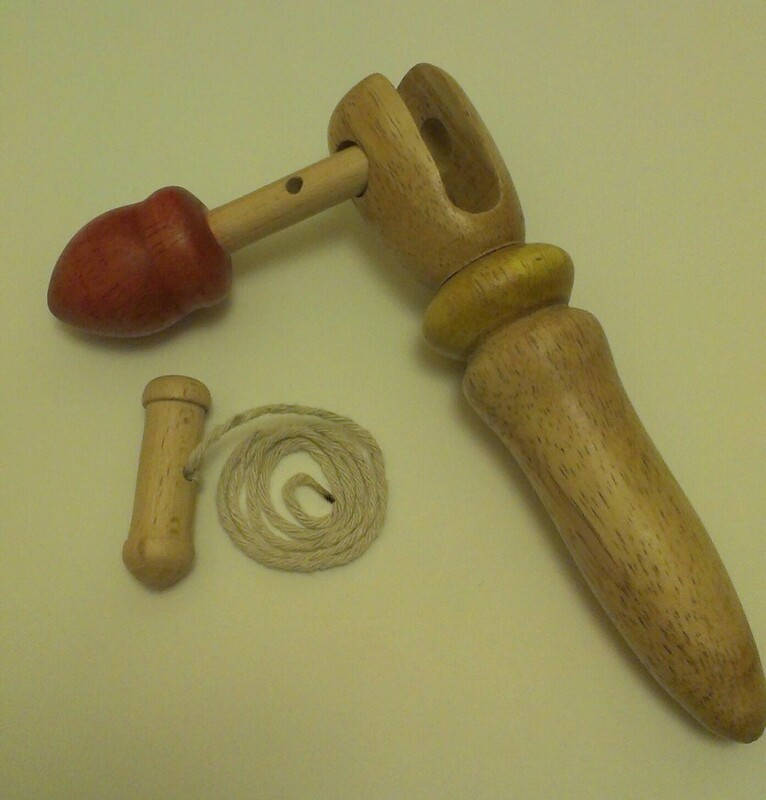 Both of the aerlier versionsused quite a lot of material to make so for version 3, I removed the handle and made the body the bit you hold while pulling the string. 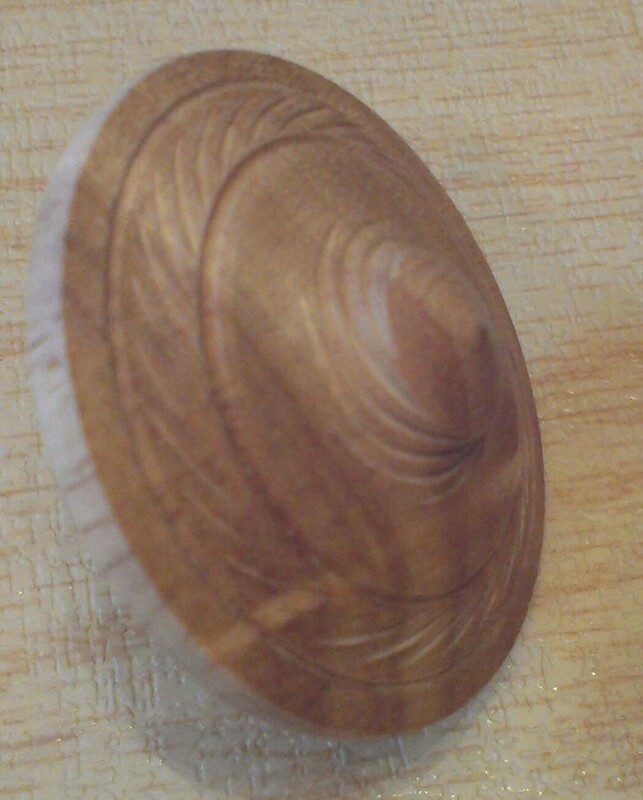 This does two things - produces less waste and also removes the need to use a bandsaw to cut the slot in the head (the saw can produce an uneven slot) to give a better finish.